Tired of adding attachments manually? Our brand-new module will help save your time. Macros Attachment module extends macros functionality and simplifies attachments adding process, using macros to attach files with macro automatically. 1. 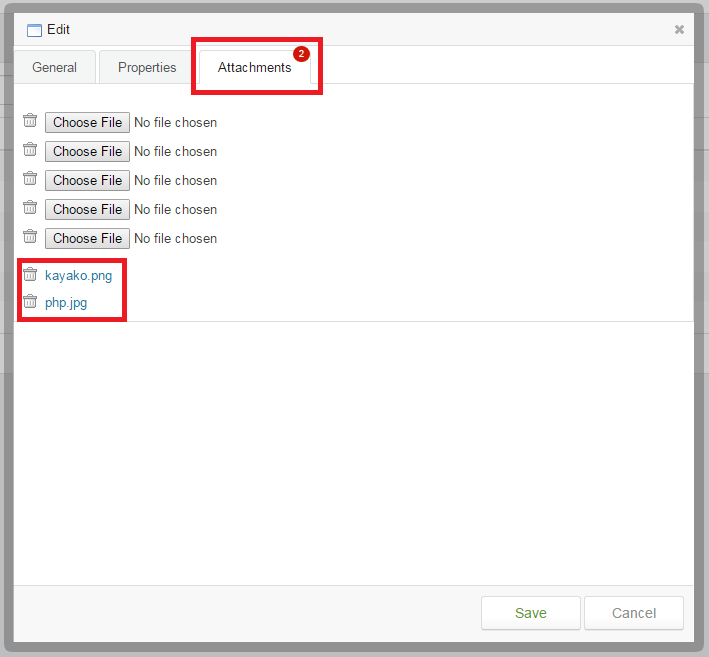 To install the Macros Attachment Module in the Admin CP choose Apps →Macros Attachment. 2. Click on the Install button under the Macros Attachment tab. 3. You will see that the app has been installed successfully. 1. Go to the Staff CP, choose Tickets →Macros. The Tickets and the Macros tabs in the Staff CP. 2. 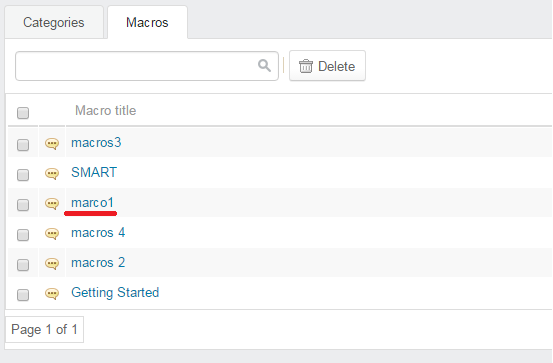 Click on the Macros tab and select the macros you need, or create a new one. We need the “macro1”. The Macros tab in the Staff CP. 3. Click the Attachments tab. Now you can upload all files you need. Don’t forget to click the Save button. The Attachments tab of the Edit window. 4. 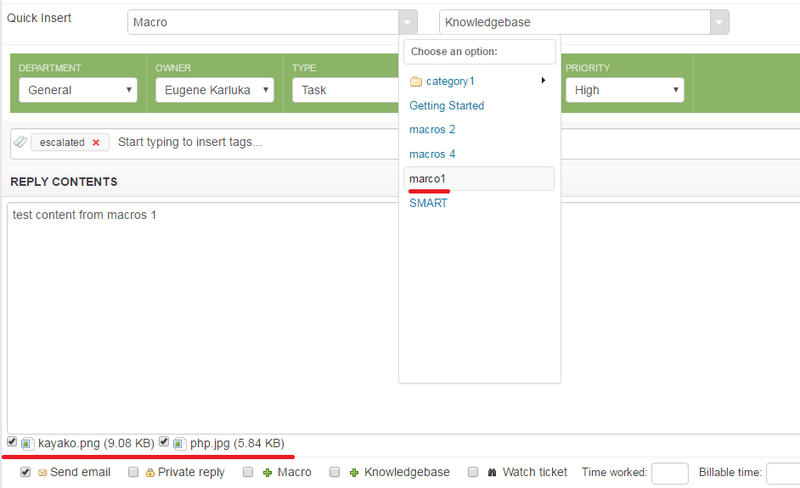 Now you can attach files very quickly during a new ticket creation or answering the old one. 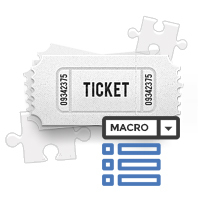 Just choose macro you need and program will attach to the ticket all files you uploaded to the macro earlier. Files attached to the letter using macro.